Feedback report from DPAC steering group member Roger Lewis. On Saturday June 23rd over 700 Trade Unionists, anti cuts campaigners and invited speakers met inCentral London to discuss the next steps in the fight to stop the ConDem austerity cuts. DPAC was proud to be there and our stall was in the main hall at the event. 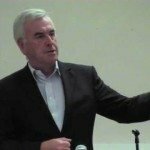 Those attending heard from a tremendous set of platform speakers ranging from well known figures in our movement like John McDonnell MP and from speakers invited from across Europe who are involved in fighting the cuts in their own countries. The biggest reception by far went to one of the Spanish Miners currently engaged in pitched battles with the police as part of their fight to save their own jobs and pay. He electrified the audience with graphic descriptions of their use of rocket launchers in their fight against the brutality of the Spanish police who are clearly being used to try to break their strike action. 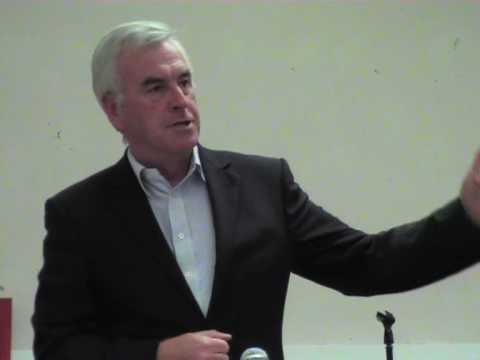 John McDonnell spoke in as uncompromising and combative a mood as ever underlining the importance of uniting all the struggles across the summer and leading up towards the TUC National Demonstration planned for October 20th. John spoke about the importance of the fight to save the Remploy workers jobs and described how the attacks on their jobs epitimised the sheer brutality and visciousness of the Condems. As usual, he went on to promote DPAC and the importance of our Direct Actions including the successful road blocks at Regent Street and Trafalgar Square earlier this year. He described how we provide a blue print for other sections of people fighting back and praised us for our dedication and resilience in the face of the attacks by Atos and the attacks on our welfare benefits. Mark Holloway, a Remploy Shop Steward from the Barking factory in East London addressed the meeting from the floor in the second session of the day. Mark explained the lies behind the government’s assertion that closing the factories was a move against segregated workplaces. He got a huge round of applause when he told the meeting that workers across the various factories under threat were being balloted for strike action and were also considering what alternative action they could consider in building a campaign to save their jobs. Other speakers referred to the work DPAC has done and described our importance as a central part of the struggle. The Unite the Resistance meeting came at a hugely important time as many of the public sector unions try to up the anti in their fight against the cuts in their pensions and link the strikes seen over the last year and a half to upcoming fights against pay cuts and privatisation. We believe DPAC needs to be a central part to that fight and we can form the link between the Trade Unions disputes and strikes and direct action by community groups, anti-cuts groups and movements like our own.